The big day is coming – as we all know, the eve of All Saints Day is approaching. It’s time to celebrate Halloween! Let us take this opportunity to write about a very popular and one-of-a-kind game Overwatch. There are many exciting things for us to write about. Many players from the community of the popular game Overwatch are already participating in the event dedicated to the above-mentioned holiday. On account of Halloween, there are many theories and “merged” pictures on the Internet with new things and features which are expected to be introduced into the game. In this post, we have collected for you the most interesting moments that we could find on the Internet. But if you find something else, we are always happy to see it here. As a game developer Blizzard promised us, summer fun at Overwatch was just the beginning, and it has seen its course in Overwatch Halloween Terror. This time, until the end of the month, a new thematic event is taking place in Overwatch. Just as it was the last time, players were expecting more than 100 new items, which accurately fall into the Halloween loot boxes. However, in contrast to the summer, during the Overwatch Halloween event, items can be purchased for game currency, albeit at a triple price. The PvE mode – Junkenstein’s Revenge – deserves special attention. Based on it, the alchemist, archer, shooter, and soldier have to defend the gate of the castle from Dr. Junkenstein and his army. This makes the game more exciting and difficult to predict. 2017 Junkenstein’s Revenge has been developed into unlimited zombies survival mode. 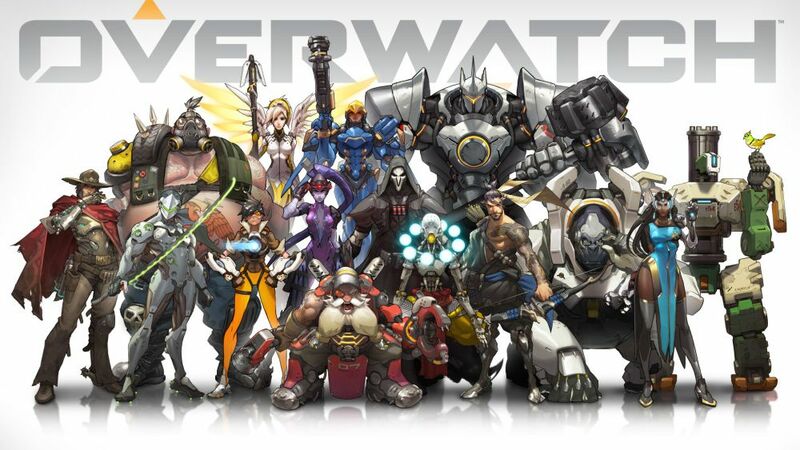 Also, Blizzard reported that Overwatch had gathered 20 million gamers from all over the world. This number is impressive indeed. Just imagine that six hundreds of players had to wait in a queue to get into the game and start a match. According to the edition of the Overwatch event, the simplest but probably the most anticipated thing that developers could add to the game is new character skins. Torbjorn as a Viking, Reaper as Dracula, McCree as Van Helsing has brought a lot of excitement into this year’s event. By the way, all skins from 2016 event last year are also available until Helloween Terror is over. It is time to change the rules! Thus, new military liners were found for Tracer, Genji, and Soldier-76. In the new game version, the Tracer in the English voice acting says: “Ooh… Scary!” This can be translated as: “Oh… How terrible it is!” One of the most important confirmations of the Overwatch Halloween update is Genji’s phrase: “My Halloween costume? Cyborg-ninja!” The last special found in the game was one of the Soldier-76: “Trick or Treat?” You must admit that it is very symbolic. Since the release of the Blizzard Overwatch shooter, it has been almost two years. Some online projects lose their growing popularity after such a term and even become boring. But it is a different story with Overwatch. A few days ago, developers greeted players with achievement of 35 million registered players. Just recall that in January 2017, the game set a record of 25 million registered players. In April, this number grew to 30 million. And now, it took half a year to collect another 5 million. Of course, the growth rate fell slightly, but the gaming activity is still very serious. It is not necessary to forget that the price of the game has not changed from the moment of its release. Gaining an audience with millions is not an easy task. For comparison, Rainbow Six Siege, a less popular online shooter, gathered an audience of 20 million users two years from its release date. Undoubtedly, a small percentage of registered gamers are those who have purchased an alternate account or have tried the game for free weekends. But the success of the game remains obvious, and Overwatch brings Blizzard a multi-billionth profit. One of the reasons for success is the active support of the project and constant updates. For example, three weeks before Halloween starts, everybody expects the Halloween Terror event, which brings discounts, special features, a new playing mode, and much more. So let’s enjoy the Halloween events together! Joshua Robinson is a professional writer; he works in http://payforessays.blogspot.com/ for more than five years. He also helps students with their assignments and gives free lessons about writing in Universities and Schools. He travels a lot and has a huge experience in tutoring.